I would definitely recommend going on exchange. This is the best experience you can ask for. I think the most valuable lesson I learnt was to get involved, have fun, and learn as much as you possibly can. Jump at every opportunity. Hannah was awarded a scholarship to spend a summer at Linnaeus University in Sweden studying art and landscape painting. Can you tell us about your exchange to Linnaeus University in Sweden? “I received an email about a scholarship to study in Sweden and immediately applied. I joined the art and landscape painting course for five weeks in the summer. The application process was really easy, with the help of Faye at NTU Global. 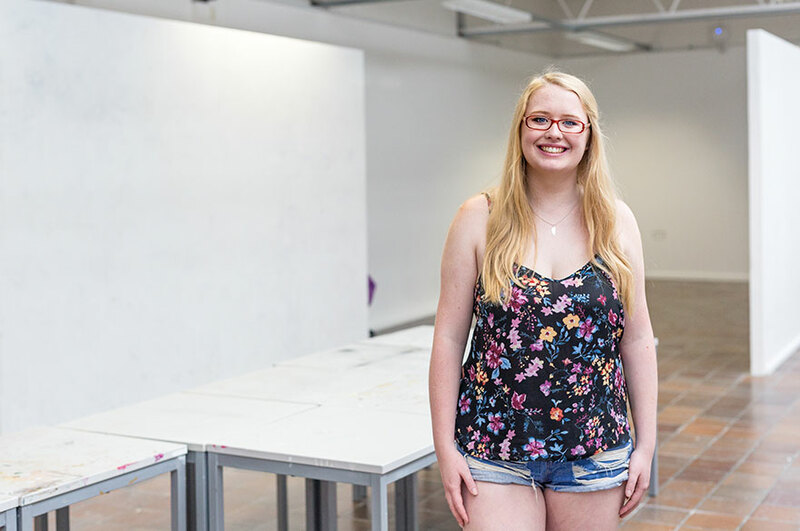 My classmate Hannah and I were awarded £500 towards our accommodation, which helped a lot!" “I would definitely recommend going on exchange. This is the best experience you can ask for. I think the most valuable lesson I learnt was to get involved, have fun, and learn as much as you possibly can. Jump at every opportunity."